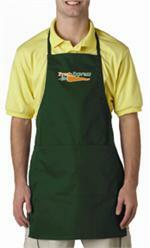 UltraClub® Large Two-Pocket Apron is made of 9 oz. 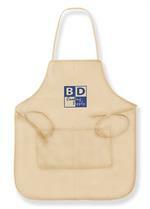 65% cotton twill/35% polyester except the Natural color which is 100% cotton canvas. 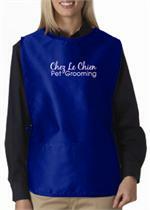 UltraClub® Large Two-Pocket Bib Apron is made of 9 oz. 65% cotton twill/35% polyester except the Natural color which is 100% cotton canvas. 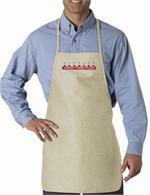 UltraClub® Two-Pocket Cobbler Apron is made of 9 oz. 65% cotton twill/35% polyester. 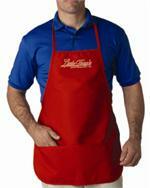 UltraClub® Two-Pocket Adjustable Apron is made of 9 oz. 65% cotton twill/35% polyester. 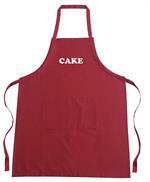 Adjust this apron quickly for the perfect fit by pulling on the straps.